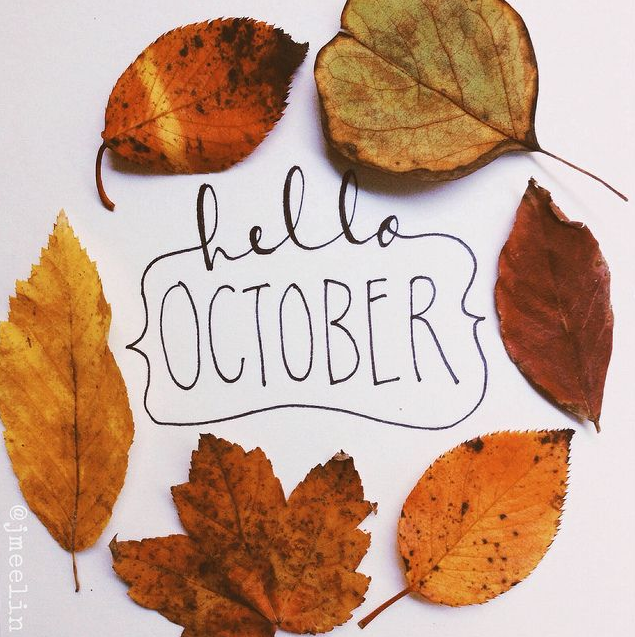 It's good to see you again, sweet October! I can't quite contain my excitement for this beautiful month's return!! You best believe I will be soaking up this gloriously fall month with all things autumn. That October goal list of mine is really going to make this month something extraordinary! I knew that we would be celebrating our big day year after year in the coziness of this perfect season, amongst the color-stained leaves.What better time of the year for a celebratory weekend retreat?! Basically, there's no time of year I love more, am so smitten with, and gush about constantly! No apologies here. October is the kickoff to the holiday season, brings the perfect sweater weather, and makes my heart so super happy. To get you in the seasonally festive mood, visit Flour Darling for some fall-inspired recipes. If anything it will make your kitchen smell like autumn and it will make your taste buds dance! 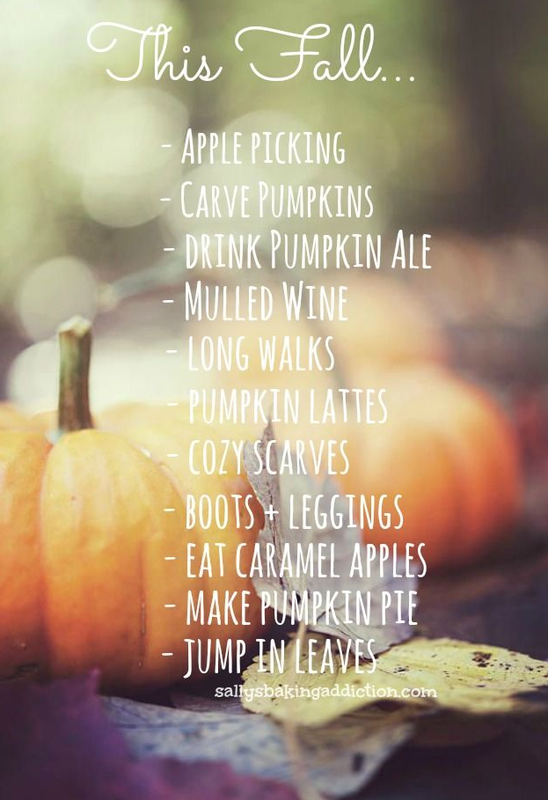 Try completing some of the fall to-dos below too! Happy, happy, happy October, ya'll!!! Linking up here and here!